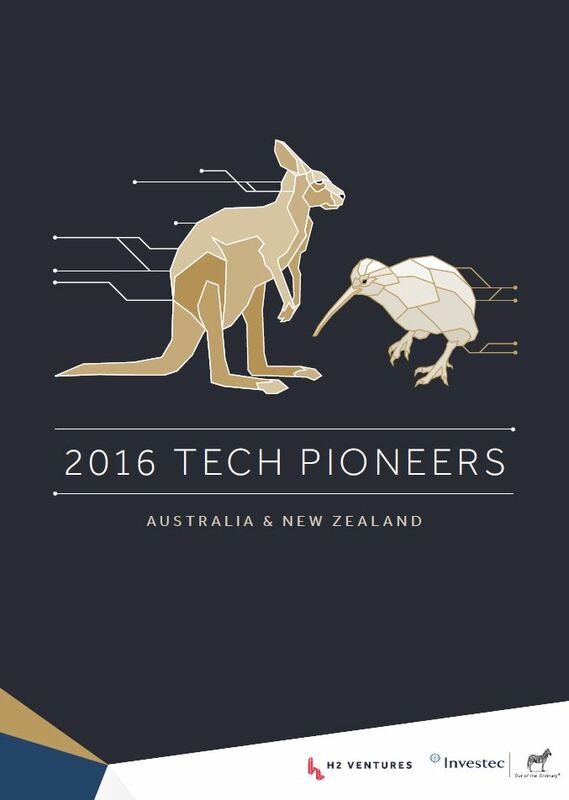 Developed by H2 Ventures and Investec, this reports showcases some of the most exciting and pioneering tech startups from Australia and New Zealand. These are the companies at the leading edge of the ‘ideas boom’ and the drivers of the economy of the future. The Tech Pioneers 50 are those companies using technology to the best advantage and driving disruption within a variety of industries and sectors. These companies have a commitment to excellence, superior customer experience and a demonstrated ability to do one thing in a market better than anyone else. The process for selecting the top 50 pioneers involved a wide search for pioneering companies to create a comprehensive list that was then ranked based on 5 factors: total capital raised, rate of capital raising, location and degree of sub industry disruption and the judging panel’s subjective rating of the degree of product, service, customer experience and business model innovation. A formula was then used to combine this data and determine the overall ranking. Posted in Entrepreneurship, Innovation, Local Industry and tagged Entrepreneurs, Innovation, StartUps.